APC cancels Ekiti state governorship primaries after reported violence – Royal Times of Nigeria. 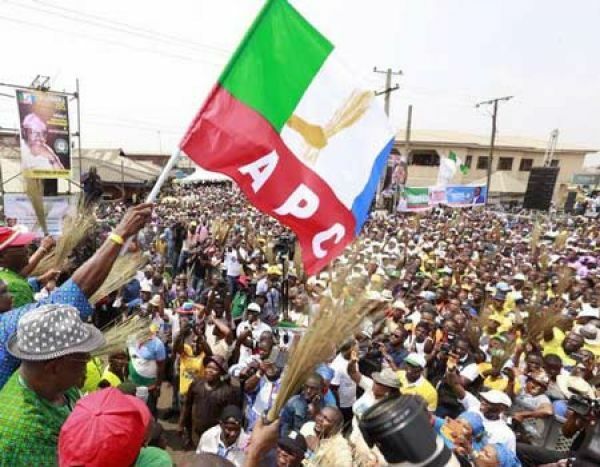 The All Progressives Congress (APC) governorship primary in Ekiti state,has been postponed indefinitely because it was marred with violence over alleged fraud being perpetrated by one of the leading aspirants. It was learnt that there was a serious violence at the Oluyemi Kayode Stadium, venue of the exercise, as agents of some strong contenders accused some security agencies of allegedly compromising the process in favour of former Governor Kayode Fayemi. The Chairman of the APC Primary and Nasarawa State Governor, Alhaji Tanko Al-Makura hurriedly entered his vehicle and left the venue after an emergency meeting with all the 33 aspirants, failed to yield result.